I’m a bit late with this blog post, what with Christmas and New Year and then all the snow, but better late than never. On January 1st 2010 new financial thresholds, which govern whether or not a contract must be published in the Official Journal of the European Union (OJEU), came into force. There’s often a lot of confusion about these thresholds, so I’ll try and explain a bit of the background as well as the actual values of the new thresholds. The European Union procurement directives require public sector organisations, as well as private companies operating in the water, energy, transport and postal services (otherwise known as Utilities), to publish notices in the OJEU to advertise that they are conducting a competitive tendering process for a particular contract. It would be unmanageable for absolutely all purchases to be handled in this way and so the European legislators set a series of financial thresholds, above which it is mandatory for a contract to be advertised in this way. The European Union is also a signatory to the World Trade Organisation’s (WTO) Government Procurement Agreement (GPA) and so compliance with the European procurement directives is designed to ensure compliance with the GPA. While European legislation sets out the financial thresholds in Euros, the GPA defines them in the form of Special Drawing Rights (SDRs), which is an asset established by the International Monetary Fund (IMF). The value of the SDR varies daily and is based on the relative values of a basket of currencies consisting of the euro, Japanese yen, pound sterling, and U.S. dollar. Every 2 years the European Commission revises the Euro value of the thresholds in order to take into account the relative movement in the value of the Euro and the SDR. 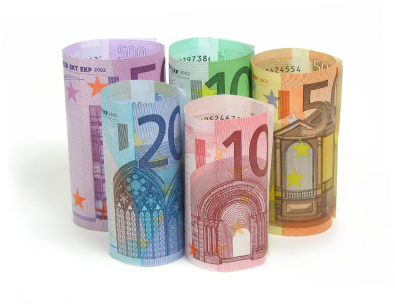 On 30th November 2009 the European Commission published Regulation 1177/2009 which sets out the new Euro values. As the Euro has been relatively strong against the SDR the value of the thresholds decreased by just over 6%. As I explained above the procurement directives set the threshold values in Euros, which means that countries outside of the Eurozone, such as the UK, have to use values in their own national currency. Usefully the European Commission publish a Communication every 2 years to coincide with the review of the Euro/SDR exchange rate, which sets the equivalent values in national currencies which should be applied to the various thresholds. On 2nd December 2009 the Commission published Communication 2009/C, 292/01 which sets out these thresholds. Even though the Euro value of the thresholds decreased by about 6%, the Pound has been so weak against the Euro that the sterling value of the thresholds actually increased by almost 9%. The thresholds are normally fixed for the two year period between reviews, so that regardless of any change in exchange rate between the SDR and the Euro, or the Euro and the Pound, etc., the thresholds do not need to be re-calculated. This doesn’t always apply though as sometimes changes in the underlying legislation will require the thresholds to be revised. The value of the thresholds are listed in the table available on the Tenders Direct website.